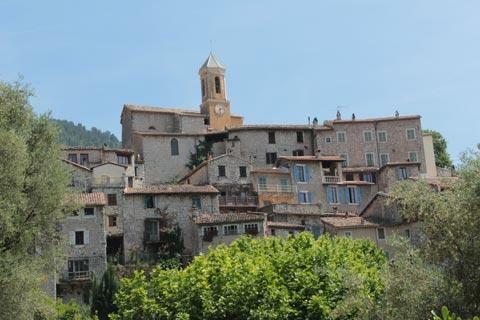 Peillon is one of several perched villages in the Alpes-Maritimes department, just a few kilometres north of Monaco and the Cote d'Azur but at almost 400 metres altitude. 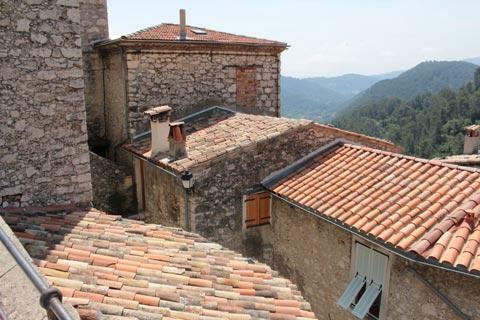 It is in a startling location, on top of a cliff and with higher mountains rising behind the village, and one of the most attractive villages to be found in the area. 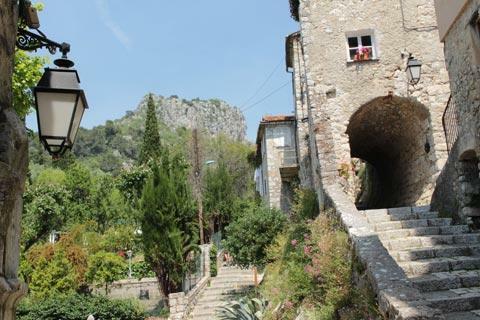 The view up to the village as you approach along the narrow road is one of the highlights, creating a very dramatic contrast with the Riviera coast to the south that you have only just left behind you. 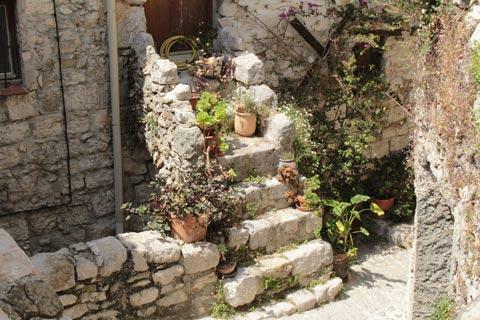 You won't need your car in the village itself (in any case it is pedestrianised), although sturdy shoes might be appropriate for climbing the cobbled pathways, steps and alleys! The houses cling to the rock, almost seeming to form part of the landscape, making this small but fascinating village a lovely place to visit. 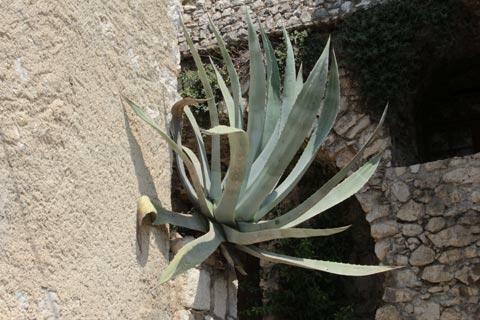 All the ingredients are here that you would expect from a Provencal perched village - steep streets lined with unchanged medieval houses wind up and down through Peillon, often passing through vaulted passageways. 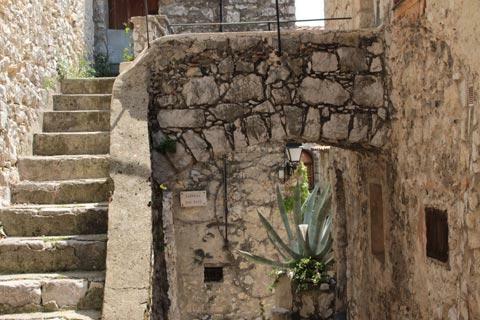 As you enter the village you can follow the "Carriera soutrana" to the right which is almost an underground street it has so many vaulted sections. The village is one of the most successful in the region at offering a fascinating insight into how life might have been 500 years ago for inhabitants of this remote location, and there are numerous features of historical interest and beauty to discover as you explore. France This Way comment: Peillon is quite small and involves a long drive up a winding road to get here so if your time is limited you should perhaps visit Peille rather than Peillon. 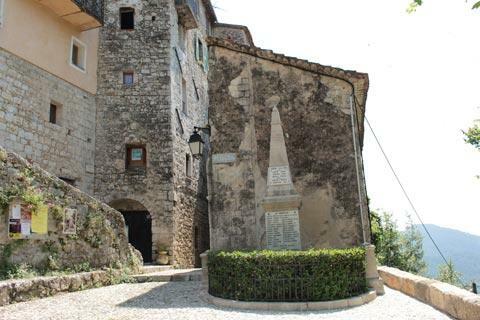 The ideal of course is to have time to visit both, and the view of Peillon on the hill as you approach the village is quite extraordinary! One particular highlight in Peillon is found inside the Chapel of Penitents-Blancs, where there are some highly regarded 15th century frescoes to admire, painted by Jean Canavesio (you can see more Canavesio frescoes at the Chapel Notre-Dame des Fontaines near La Brigue). 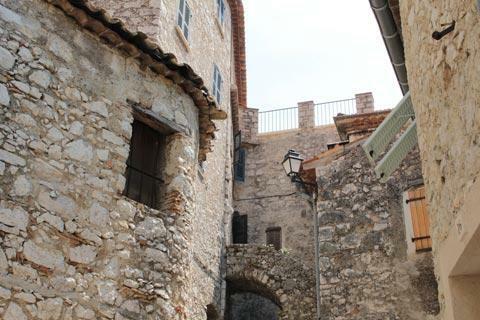 You will need to get the key from the tourist office if you want to visit. 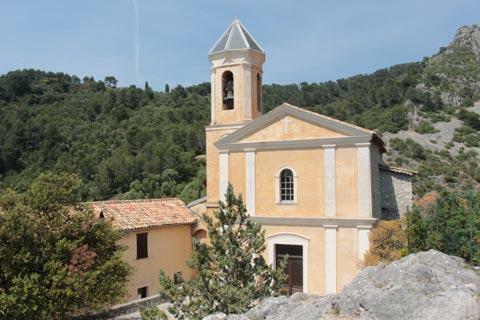 There is also a 18th century church in Peillon, built at the top of the hill where the castle once stood, an old oil mill and a nice stone fountain. There are plenty of fine views across the surrounding countryside to enjoy if you need a break while the children run on ahead up the steps and there is also a restaurant in the village (although it looked rather expensive). Note: although only a few kilometres north of Monaco 'as the crow flies' the drive will take at least 30 minutes - there is no direct road and you need to take the D2204B and the D21, starting from La Trinité (north of Nice). 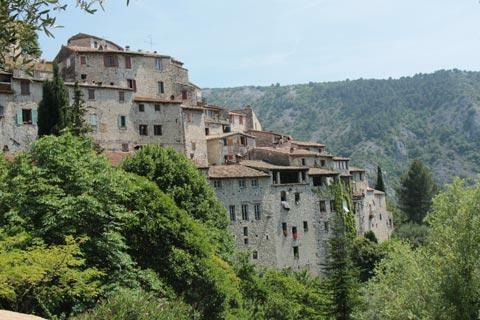 We visited Peillon as part of a 'tour of the perched villages' of the region that also included Peille, Gorbio and Sainte-Agnes and made for a very nice day out - although quite often on narrow roads! 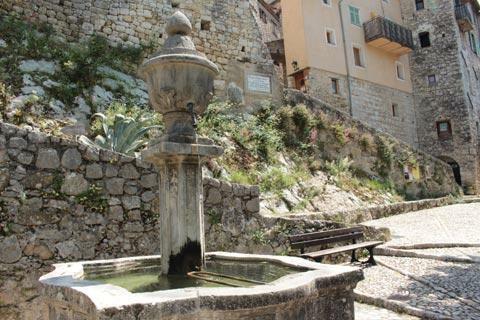 Note that despite the proximity of these villages to the busy riviera thay have very limited facilities.